Flair Cleaners combines classic craftsmanship with innovative, environmentally safe dry cleaning processes. Our professionals take personal pride in treating your clothes with the utmost care so finished garments are strikingly clean, comfortably soft and a pleasure to wear. Each garment is carefully inspected with extra attention given to stain removal and button protection. Every piece is hand finished and pressed, and minor repairs are skillfully performed. 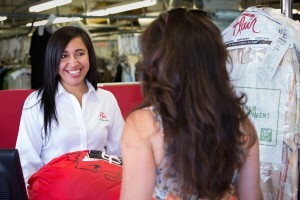 And, with our same day service, your clothes are ready when you need them. 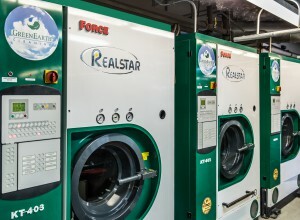 Flair’s odor-free GreenEarth Cleaning process treats clothes like a mineral bath, so they don’t just come back clean, they come back rejuvenated. Fabrics feel soft and supple to the touch, colors and textures are revived, and clothes look as good as they feel. The award-winning GreenEarth is an environmentally sound dry cleaning process that replaces petroleum-based solvents with liquid silicone, a gentle solution made from one of the earth’s safest and most abundant natural resources: silica, or sand. GreenEarth cleans more effectively than traditional dry cleaning methods and it can actually improve the look and feel of fabrics.